In the past, there was the time when students use to think that college education is not worth enough for their future. And they had a misconception that only attending coaching institutes will help them get job security. ASM Group of Institute was formed with the goal to change this thinking.Also, various studies have pointed towards the fact that a graduate always earns more than a non-graduate. Thus,with our hard work we have enriched the thought that studying from a good and reputed college and having a degree is really a great investment for every aspirant’s careers. Further, we would like to say that if you wish to get job security then having a degree for ASM Group is the best option. So,what are the Various Advantages of Having a College Degree? It opens up different opportunities, both in and out of your field of interest. A college degree mentioned in your resume will make a great impression in the employer’s mind like you can handle responsibilities, can take intelligent and critical decisions and much more. Usually, employers choose a graduate as compared to the one who is not a graduate. Once hired, every graduate is the primary candidates for getting promotions which further increases their salary package. 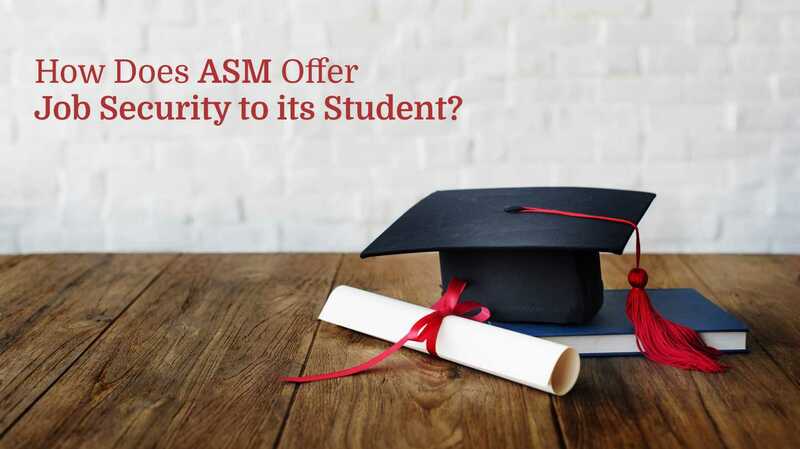 Further, we would like to say that if you wish to get all of these along with job security then having a degree for ASM Group is the best option. And if you are interested in management, commerce, science and computer programs then ASM Group of Institute is the best to enrol with. We provide various graduate and postgraduate courses as well as PHD programs.Apart from this, they also provide part-time courses and certificate courses. The college provides the best learning experiences to the students, opportunities for global exposure, memorable college life and yes, good placement. Also, you would like to know that we have a strong alumni network with many students placed in various reputed companies across the globe. Regular, job fairs are conducted to give students the best career opportunities. One can find the conglomeration of a huge number of students and companies participating and receiving good responses in these job fairs. Further, for the campus placement drive, different companies visit the campus, every year and students receive good packages every time.The college has also taken many initiatives to provide every student with a great placement experience. Thus, as a whole,you get a bright career and good job security with ASM. Hope, now you know which the best college is to opt for higher studies and job security. For more details visit www.asmgroup.edu.in. Reach us at, Phone: No: 020-27475090 / 27478666 Mob: 9422009207 /09/10/12, or Email at: enquiry@asmedu.org / admission@asmedu.org.